Our lab uses molecular, cellular, and biochemical techniques to study neural crest formation in the chicken embryo to better understand overall animal growth and development. Migratory neural crest cells undergo EMT and give rise to a diverse array of structures in the developing vertebrate embryo. 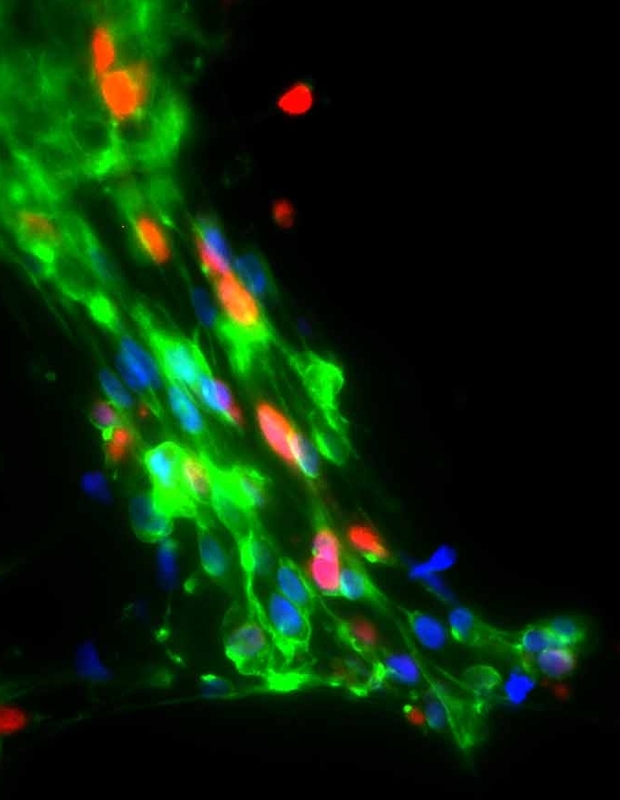 Known as the “fourth germ layer,” neural crest cells possess the capacity to differentiate into many cell types. Snail2 represses many genes, including components of cell junctions, to mediate EMT. Neural crest cells must interact with placode cells to assemble the cranial ganglia. Dr. Chyong-Yi Wu's article was recently published in the journal Genesis. The Taneyhill lab welcomes two new members, Dr. Carrie Leonard and Ms. Caroline Halmi. Welcome Carrie and Caroline! The lab is looking to hire new personnel (postdocs, graduate students, technicians). Please contact Dr. Taneyhill for more information.